Live chat is now one of the most highly preferred channels among customers who wish to communicate with the businesses they support. In the same way that live telephone answering services require skilled customer service representatives, live chat services also call for properly trained agents who can meet the needs of your customers through this 21st century medium. That’s why live chat management services are no longer optional in your contact centre today. While it’s not always feasible for every organization to have a team of trained customer service experts ready to provide live chat services at a moment’s notice, @liveconx believes that solutions are always available for businesses that need support. 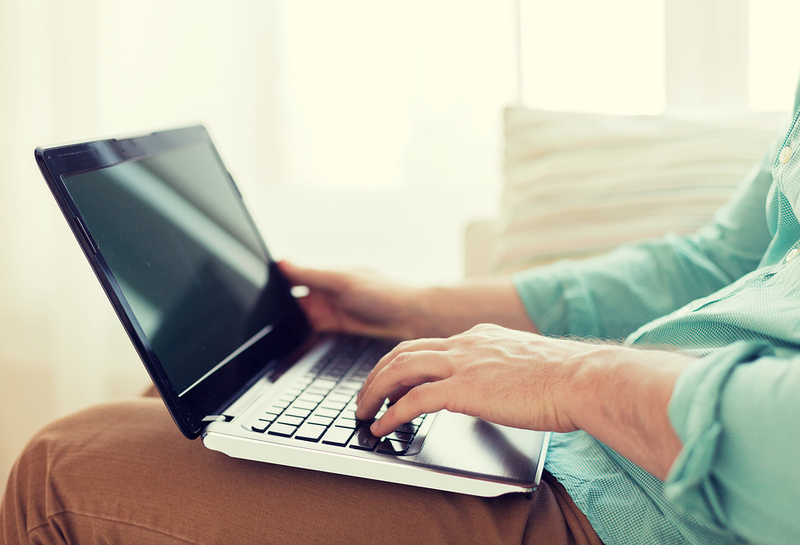 We pride ourselves on providing live chat outsourcing options that can benefit your business. As experienced providers of live chat services, the members of our team are highly skilled in the areas of problem management and customer support, and how they translate to live chat. Live chat management services differ from phone answering services in some important ways, and our live chat outsourcing team is specially trained to handle customer issues online efficiently and quickly. With our chat support structure in place, you can be assured that your customer’s complaints will be handled in ways that leave them eager to continue doing business with you further. With @liveconx as your provider of live chat management services, we treat your brand and service like our own. It is our culture to immerse ourselves in yours, providing a seamless extension to your organization. We communicate what you ask and expect from a multi-award winning customer care provider to your customers and clients through experienced bilingual representatives trained and ready to handle from simple to complex customer interactions positively, effectively and within your guidelines. 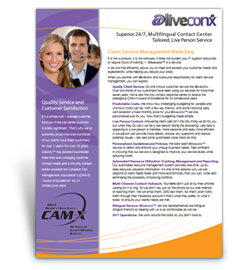 With @liveconx, you can increase your customer service levels and reduce operating expenses!